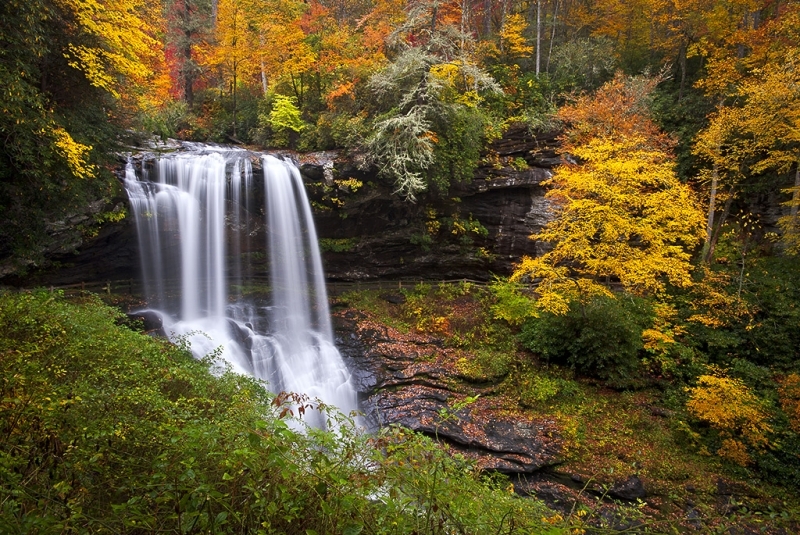 Autumn at Dry Falls in Highlands NC. We absolutely love Highlands NC for all the great sights, roads, food, people and more! Dry Falls is one of the reasons we are so fond of Highlands and it is easy to see why. This is an epic waterfall in the heart of the Blue Ridge Mountains of Western North Carolina, and during the fall foliage it is really something special to see. Dave Allen is an internationally published landscape photographer who is based in Hendersonville, NC. His work has been featured around the world in fine art galleries, magazines, books, calendars, and more. Much of Dave Allen's landscape and nature photography is centered around this stunningly beautiful area in the heart the Blue Ridge Mountains of Western NC.